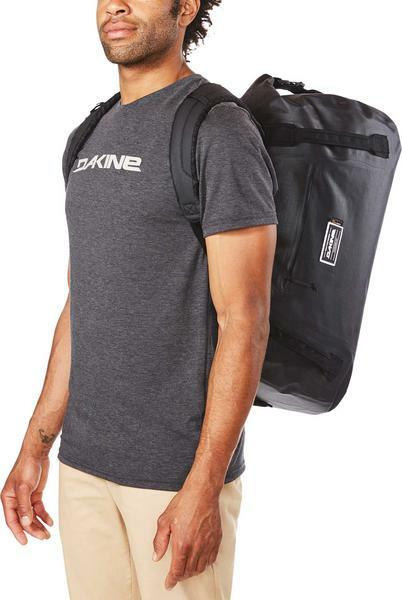 The Dakine Cyclone Collection is a family of super-technical and durable wet/dry packs and bags. 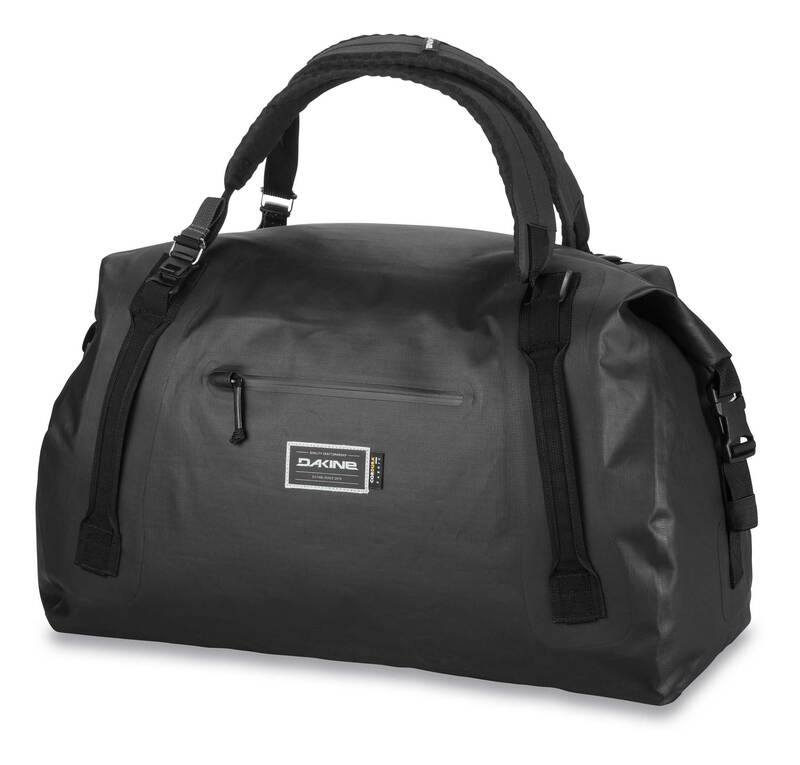 This is the duffle bag version from the cyclone collection with roll top design, waterproof welded construction and coated Cordura Ripstop. 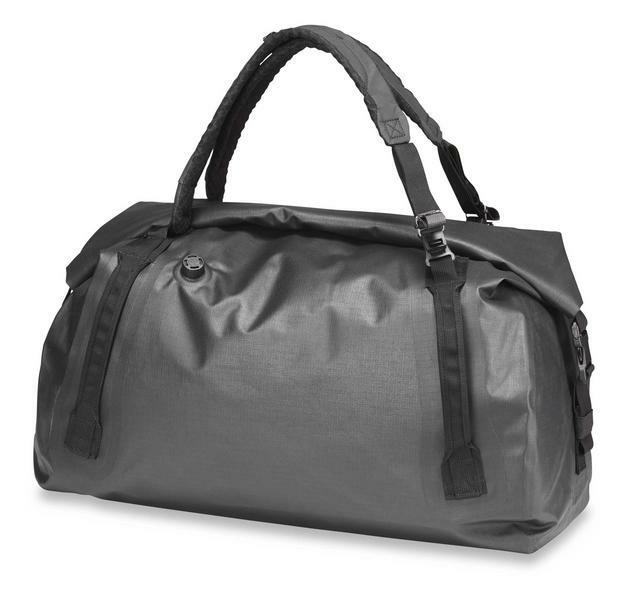 It is extremely water resistant, perfect for keeping towels and tech dry before your session, and keeping your soaked wetsuit contained after it. 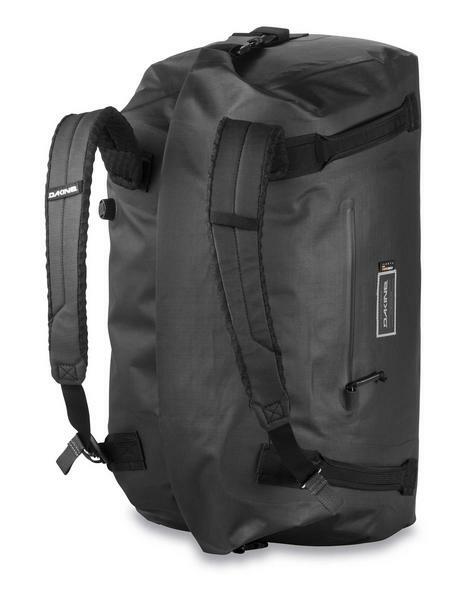 The 2-way purge valve gives you the option to inflate the main compartment of the bag, to cross deep water with your gear floating along behind you, it also lets you deflate a bag full of clothing, as a handy space saving trick. 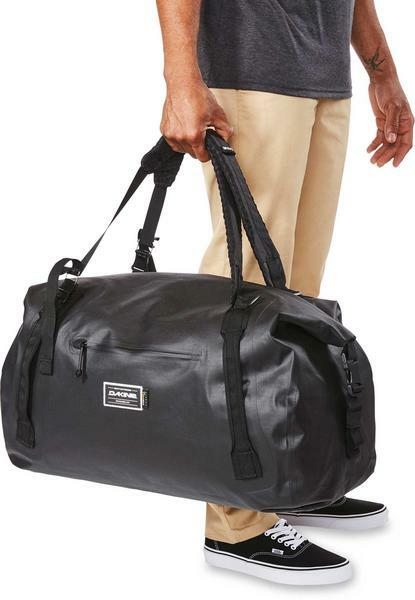 The handles can also be separated and adjusted to convert this duffle to a backpack.